When genomic is mentioned, most people think about huge, heavily-funded international consortia, such as the Human Genome Project. Nowadays, sequencing platforms are readily available meaning that individual labs can actually sequence whole genomes (Whole Genome Sequencing or WGS). For the research in genomics, collecting of a large number of digitalized genomes is of a great importance. As the prices of full sequencing goes down the personalised medicine becomes more and more popular. Of course, the availability of this data will help clinicians run complex tests regarding a patient in a matter of seconds. 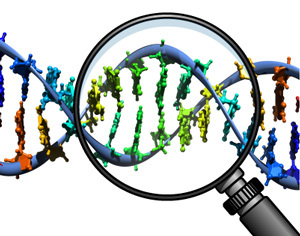 However, there are issues regarding the privacy due to the unprecedented sensitivity of the genomic data. Lots of funding agencies have now introduced requirements for data sharing while the Personal Genome Project intent to create a dataset of volunteers’ sequenced genomes and make it public for research purposes. However, there are a lot of arguments whether this should be done. Recently Erman Ayday and colleagues created an article stating that the consequences of genomic data disclosure aren’t limited in time and also it reveals a huge amount of information about one’s relatives due to its hereditary nature. This means that privacy is an important issue that has to be dealt with both in terms of ensuring individuals are informed enough to make informed consent for disclosure of their data, but also in terms of developing new technologies that are preserving the privacy of individuals while still enabling data use and re-use. Different regulations have been created in order to protect the privacy of the human subject such as the HIPAA privacy rules for data de-identification – omitting name, date of birth or other identities. Workshops and meetings, like the “Genomic Privacy” seminar in Dagstuhl, Germany, brought together practitioners and researchers from various areas who pointed their forces in the ethical and legal implications related to genomic data protection.